This March at the 2019 Geneva Motor Show, Nissan debuted the IMQ concept vehicle. This breathtaking, all-new vehicle features cutting-edge technology and futuristic vehicle design, hinting at the future of crossovers from the automaker. The IMQ concept is a beauty to behold, featuring, sleek, modern contours and sweeping lines. As an industry leader with its array of advanced crossovers and SUVs, Nissan doesn’t disappoint with the new IMQ. The IMQ features an array of driver-centric Nissan Intelligent Mobility™ technology, including the state-of-the-art Invisible-to-Visible (I2V) technology, which combines real-world information gathered by the vehicle with other virtual information to make the driving experience as cool and confidence-inspiring as possible. In addition, the IMQ features a cutting-edge version of Nissan’s ProPILOT driver-assistance system, offering jaw-dropping autonomous driving capability. Pertinent driver information is displayed on two advanced interfaces, offering clear information on the electric drive system, navigation, and more. Backing up the IMQ’s style and smarts is the next-generation of Nissan’s e-Power, a purely electric motor drive system. The system’s power is harnessed by IMQ’s all-wheel-drive system, which supplies refined power to each wheel, finely controlling each one. With such a drivetrain, the IMQ offers exceptional driving dynamics, instant acceleration, and stability in low-traction road situations. With the unveiling of the IMQ, we can’t wait for the next generation of Nissan crossovers and SUVs. 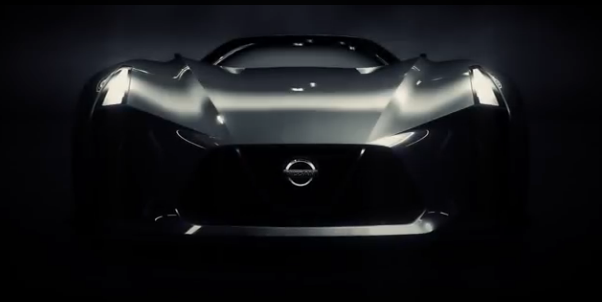 While the Nissan IMQ is a concept vehicle and not headed to production, we can’t wait to see some of its new design elements in cars on the James Ceranti Nissan lot in the near future. Automakers like Nissan are developing advanced electric vehicles and autonomous driving technologies that will rapidly transform the transportation industry. Nissan boldly designs vehicles that reach new heights of sophistication, including the Vmotion 2.0 and Xmotion Concepts. Although these particular vehicles may never hit a production line, they hint at Nissan’s vision of the future. The Vmotion 2.0 Concept announces the future of the Nissan sedan. It features a sharp, aerodynamic exterior design and Nissan Intelligent Mobility™ technology, which includes the state-of-the-art ProPILOT autonomous driving system. This remarkable system can navigate city streets and highway traffic, displaying a lit-up grille and diffuser to indicate that the ProPILOT system is active. With compact SUVs and crossovers becoming ever more popular, the Xmotion predicts the future of this segment. The Xmotion is a three-row SUV that features a breathtaking, angular exterior design that looks like a piece of contemporary art. Just as the Vmotion 2.0 Concept received the EyesOn Design Award for Design Excellence in 2017, the Xmotion also won an EyesOn Design award in 2018. In addition, the Xmotion integrates cutting-edge driving assist features and offers a “Floating Koi” virtual assistant in the car. Nissan’s vision of the future is bold, and its intelligent design choices such as virtual assistant integration and an external display to let other drivers know an autonomous driving vehicle is on the road, Nissan plans to be a part of the bright future it envisions. Contact us at James Ceranti Nissan for more information. It wasn’t long ago that Mercedes-Benz wowed the automotive market with the news of a possible pickup truck. The rumor mill was quick to get in on the action, but until now, there hasn’t been any clear details. Now, in a recent news release, Renault-Nissan Alliance CEO Carlos Ghosn has confirmed that the automaker will expand its relationship with Mercedes-Benz, providing the underpinnings for a Mercedes-Benz pickup. The Mercedes-Nissan pickup truck will share some of its structure with the Nissan NP300 Navara, though most of the design elements and the powertrain will be designed my Mercedes-Benz. A recently-released teaser image suggests that Mercedes will opt for a double-cab body, and a sleek, refined design. The primary markets for the truck currently include Europe, Australia, South Africa, and Latin America, though there is a chance the U.S. could be added to that list by the end of the year. Nissan’s extensive knowledge in the pickup segment will allow Mercedes to significantly cut time to production on its upcoming truck. “Thanks to our well-established partnership with the Renault-Nissan Alliance, we are able to drastically reduce the time and cost to enter this key segment,” noted Dr. Dieter Zetsche, Chairman of the Board of Management of Daimler AG and Head of Mercedes-Benz Cars. According to the news release, Nissan is the world’s second-biggest producer of 1-ton pickup trucks, making this a smart strategic move for Mercedes-Benz. Here at James Ceranti Nissan, we want to know: would you consider purchasing a luxury pickup truck like this one? Tell us why or why not in the comments!